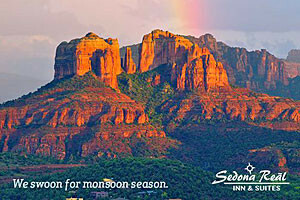 An outstanding hotel near some of Sedona’s best hiking and biking trails. 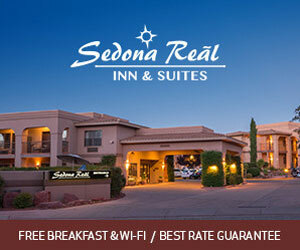 Enjoy superior service, free WiFi, and hot breakfast, when you stay with us. Plus, on-site concierge. Right off the highway, Americas Best Value Inn in Prescott Valley is right along your way. Come check-in! Guests of the Comfort Inn will enjoy a free breakfast, free coffee and an outdoor hot tub, as well as being only 2 miles from downtown. This hotel is located near many of the areas hottest destinations including Tim's Toyota Center and the Prescott Valley Entertainment District. 10 minutes east of downtown Prescott, this grand hotel has a charming and classy feel with a variety of guest rooms, full breakfast buffet, seasonal pool, and fitness center. 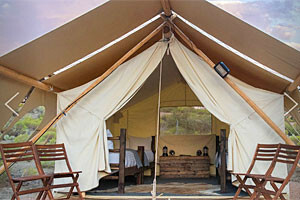 Located in the heart of Prescott Valley's entertainment district, with carnivals, concerts, and holiday celebrations. 10 minutes east of Town Square and adjacent to the Prescott Gateway Mall, this popular chain hotel features a business center, fitness center, pool, hot tub, and breakfast. In the heart of downtown Prescott, this historic boutique hotel features a variety of classic yet modern hotel rooms and suites. Amenities include a full breakfast and wifi. Just a few blocks from Whiskey Row, Springhill Suites features 105 guest rooms with large desks, comfortable beds, kitchenettes, wifi, and breakfast. Pet friendly! The Residence Inn has a large outdoor pool (with separate kid's pool and two whirlpools), fireplace, firepit and BBQ grills. It is also pet friendly. The SpringHill Suites is located in downtown Prescott and features an indoor pool and complimentary wireless Internet and breakfast. The Wyndham Garden Hotel features an indoor swimming pool and hot tub, complimentary breakfast and state-of-the-art fitness center.